Global Strategies & Ventures Group FZE has been established to offer world class advisory services to Small and Middle Market clients as well as to larger corporations and governments that are looking for senior level focus and attention. 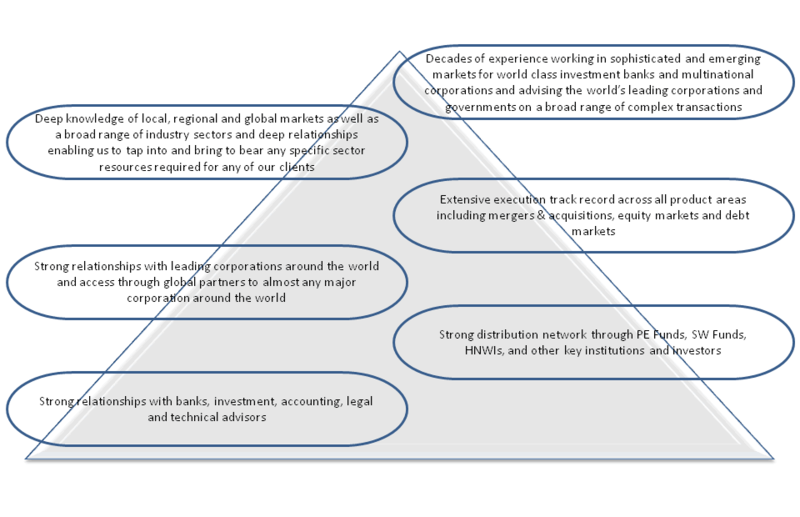 With the ability to draw on resources across continents and industry sectors, and with local, regional and global access to potential institutional investor bases, Global Strategies & Ventures Group FZE offers a unique proposition to its emerging clients – value for money. The primary objective of Global Strategies and Ventures FZE is to create value for clients through developing creative, tailor-made solutions and through providing advice on strategy, corporate development, corporate reorganization, analysis of capital structure issues, strategic transactions such as joint ventures and alliances, mergers, acquisitions and divestitures or straight equity, mezzanine and debt capital raises.